As you may know, we at Knit for Peace like to see people knitting anywhere and at any time. 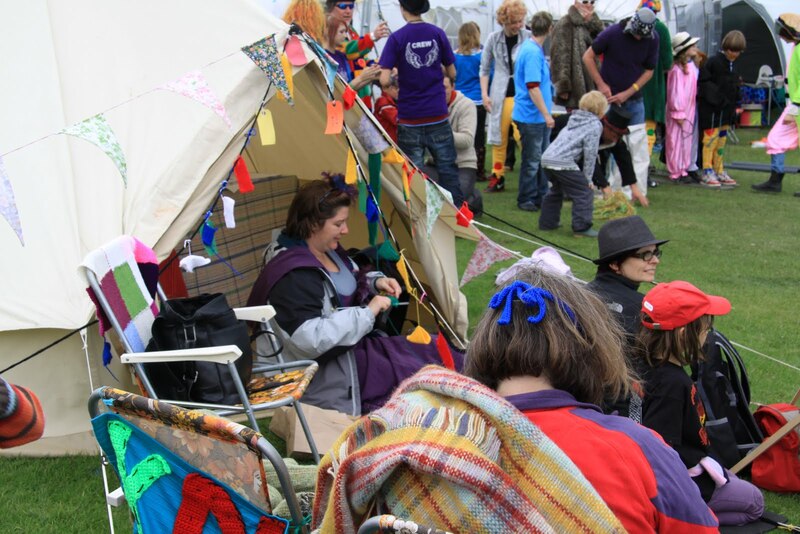 Part of our plan to make people aware of Knit for Peace and our charity work is to open up a Knit for Peace tent at a range of festivals throughout the summer. Here you can just come and knit with us, learn or refresh your memory if it is a long time since you have knitted. All are welcome – men, women, children, young or old. 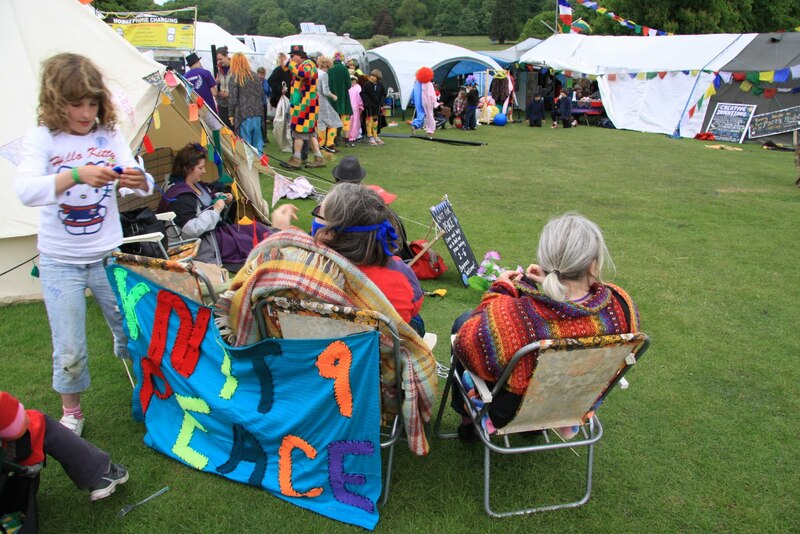 You can help us add to our peace bunting which you can see in the photo is starting to adorn the front of our tent, buy a knitting kit or make a donation to support our work or find out how you can set up a Knit for Peace group in your local area. If you run a local charity or community group whose members might benefit from a knitting group just let us know and we will come along and help you get it off the ground. The photos in this post come from our first festival of the season, Bearded Theory in the heart of the beautiful Derbyshire countryside where we were part of the Angel Gardens family entertainment area. We had a wonderful time, (despite the changeable weather) and had a lot of enthusiastic people enjoying knitting in the sun whenever it chose to shine. Do come and see us, sit down and, if you’re in the mood to help a charity, do a little Knitting for Peace with us.